ATLANTA (January 8, 2017) – The 13th Annual Coach Wooden Citizenship Cup, an award given to the most outstanding role models among athletes, has announced the professional, collegiate, and high school honorees for its 2017 award ceremony, to be held April 11 at Atlanta’s Cobb Galleria. Bob Ryan, the famed sportswriter for the Boston Globe and analyst for ESPN, will serve as the Master of Ceremonies. Founded by Athletes for a Better World (ABW), a non-profit organization committed to changing the culture of American sports, the Wooden Cup is unique in that it is open to athletes in all collegiate and Olympic or professional sports and, for the first time this year, to high school athletes. 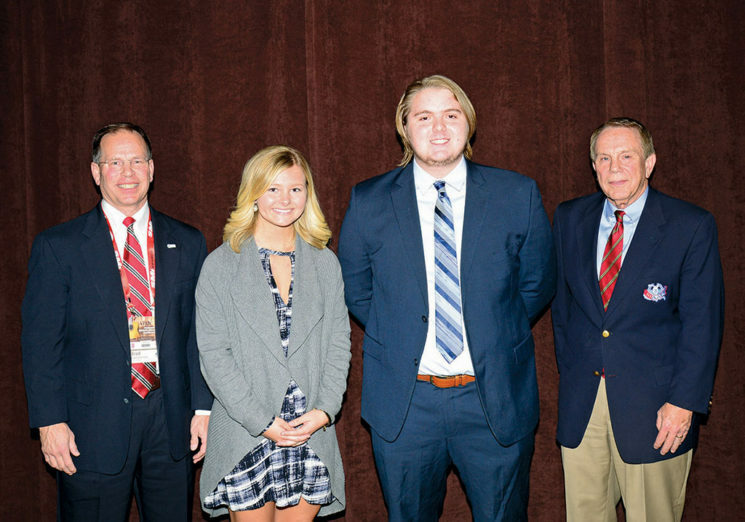 Nominations are open to every division and conference in college sports and to athletes in public and private high schools across the country in a new partnership with the National Association of High School Athletic Administrators. Vince Dooley was born in Mobile, Alabama. 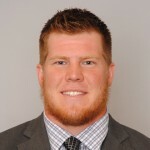 He accepted a football scholarship to Auburn where he was an all-star in football and basketball and earned a Bachelor’s Degree in Business Management and a Master’s in History. After service in the Marine Corps and as an assistant coach at Auburn, at the age of 31 he was named the head coach of Georgia. For over 50 years, he has had an enduring impact on the University of Georgia, the Southeastern Conference, and collegiate athletics across the country. He served as head football coach from 1963 to 1989, and as the Director of Athletics from 1979-2004. His 25 years as head football coach earned him the distinction as the most successful coach in Georgia history: a record of 201-77-10, one national championship (1980), six SEC Championships, and he took his teams to 20 Bowl games. 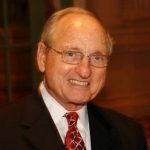 Dooley is the only person ever to hold the presidency of both the American Football Coaches Association and the National Association of Collegiate Directors of Athletics, and the only person inducted into the Sports Hall of Fame in two states, Georgia and Alabama. He has been the recipient of countless awards, including the highest national awards in coaching and in athletic administration including the Bear Bryant Lifetime Achievement Award, the Amos Alonzo Stagg Award, the Duffy Daugherty Memorial Award, the James J. Corbett Memorial Award, the John L. Toner Award, and the Homer Rice Award. He was twice named NCAA National Coach of the Year, SEC Coach of the Year seven times, and NCAA District Coach of the Year six times. His football legacy was completed with his election to the National College Football Hall of Fame in 1994. As athletic director, his Georgia teams won 23 national championships, 78 SEC team championships and numerous individual national titles in both men’s and women’s sports. His contributions to UGA were recognized in 2008 with the dedication of the Vince Dooley Athletic Complex with a special statue and garden. As part of the University’s Third Century Campaign, he initiated the Vincent J. Dooley Library Endowment Fund with a personal gift of $100,000. His community service and charity work are extensive and include work with the Heart Fund, Multiple Sclerosis, Juvenile Diabetes, Boy Scouts, the homeless, and he is currently serving on the Advisory Board of the Salvation Army. He chaired a successful million dollar fund raising campaign for new Salvation Army facilities in Athens. He served 28 years as the long-standing chairman of the Georgia Easter Seals Society, was named National Volunteer of the Year, and a new Easter Seals facility in Atlanta was built and named for him. He and his wife, Barbara, co-chaired a fund-raising campaign to establish a Catholic high school in the Athens area. Dooley, who was instrumental in the University’s campus being designated as an arboretum, was presented with the Georgia Urban Forest Council’s 2001 Individual Achievement Award, and in the Horticulture Department an endowed professorship was established in his name. For many years, he has also done hundreds of speaking engagements and appearances for numerous, worthwhile charitable causes. In the spring of 2016 he became Chair of The Georgia Historical Society (Savannah) and serves on the board of the National Civil War Preservation Trust and is chair of its Education Committee. For the last seven years Dooley has spent a week each year in a foreign country doing service work. As a member of the Order of Malta, he went to Lourdes, France, accompanying the sick for healing, and for the past four years has worked in an impoverished village in Honduras. Dooley is married to the former Barbara Meshad of Birmingham. They have four children: Deanna Dooley, Daniel (married to Suzanne Maher), Denise (Mrs. Jay Douglas Mitchell), and Derek (married to Allison Jeffers). They also have eleven grandchildren. Professional Recipient Vince Dooley, and five collegiate finalists for the Wooden Cup were introduced at the 12th annual Coach Wooden Citizenship Cup awards banquet at the Cobb Energy Centre on April 27, 2016. Watch their videos and meet each of these outstanding individuals and learn the incredible ways in which they made a difference in the lives of others. 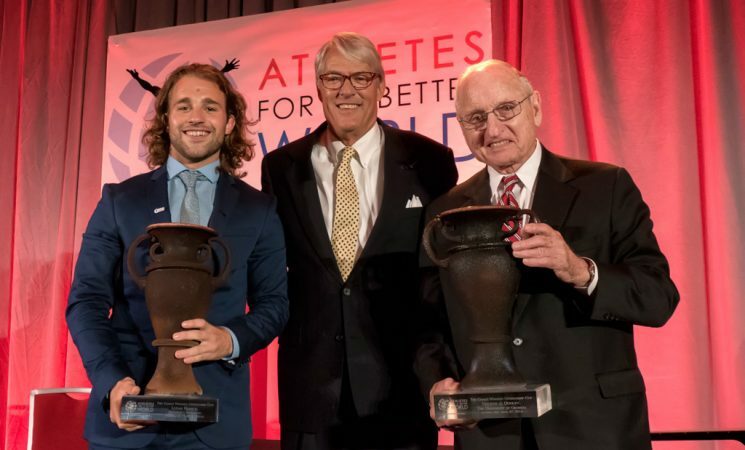 ATLANTA (April 28, 2016) – Vince Dooley, the University of Georgia’s former football coach and athletic director, and Luke Romick of Denison University each received the 12th Annual Coach Wooden Citizenship Cup at Atlanta’s Cobb Energy Center Wednesday night. The Cup, in the words of Athletes for a Better World’s founder, Fred Northup, is “not for the best athlete, or the best student, but for the best person in the world of sports.” Previous recipients, including Jack Nicklaus, Mia Hamm, Cal Ripken, Peyton Manning, Pat Summitt and others, have made the Cup one of the most prestigious awards in sports, given its emphasis on character and its openness to athletes in all sports. John Wooden, who won ten national championships during the years 1964-1975 as basketball coach at UCLA, is commonly regarded as the greatest college coach of any sport who ever lived. Universally regarded as one of the finest human beings to ever grace the world of sports, his character, conduct and selfless gifts stand at the highest level by any standard. When Coach Wooden learned about Athletes for a Better World, he gave authorization to attach his name to this annual award, and he attended and addressed the inaugural event in Los Angeles in 2005. In his honor, the Coach Wooden Citizenship Cup is presented to two distinguished athletes, one collegiate and one professional or Olympic, for their character and leadership both on and off the field and for their contributions to sport and society. 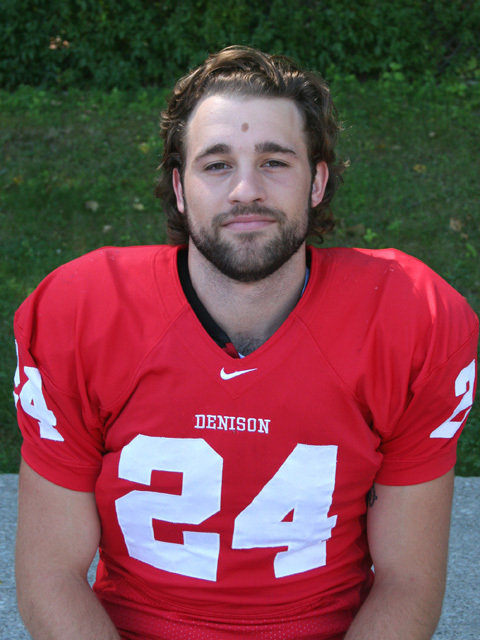 Luke Romick is a two-sport athlete at Denison University, playing on both football and track teams. 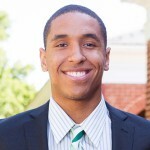 Off the field he serves as the president of both the Denison Student Athletic Advisory Committee and the president of the North Coast Conference’s Student Athletic Advisory Committee, where he has shown great leadership in facing a variety of campus and community issues. 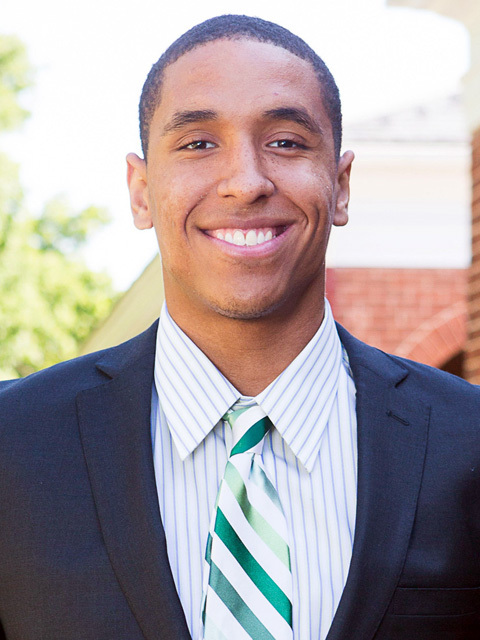 Participating in numerous community service projects, Romick spent the summer after his freshman year as an intern in the Los Angeles-based Thirst Project, a nonprofit organization that educates and activates students to address the global water crisis. 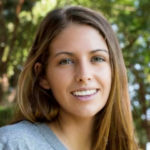 Fueled by that experience, Romick went on to begin a Thirst Project organization at Denison and spent the next two summers at Thirst Project headquarters in Los Angeles, playing a major role in raising over one million dollars during that period. Vincent J. Dooley became the head football coach at the University of Georgia in 1964 at the age of 31. During Dooley’s twenty-five year tenure as head football coach, the Bulldogs won the 1980 national championship title, won six SEC championships, won 201 games, and played in 20 bowl games. He led the Bulldogs until 1988 and is among the “winningest” coaches in the history of college football. In addition to excellence on the field, Dooley encouraged academic excellence in his players. 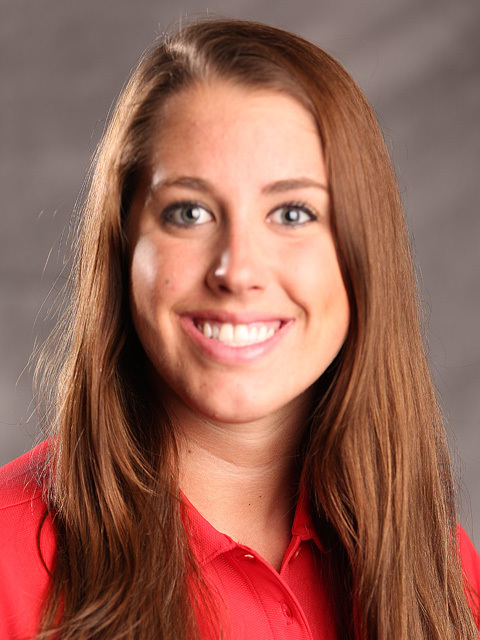 Under his leadership more than 100 student-athletes received academic awards and post-graduate scholarships. Dooley served as the University of Georgia’s athletic director from 1979 to 2003. Not surprisingly, Dooley has received multiple accolades for his accomplishments in collegiate athletics. He has been a member of the College Football Hall of Fame since 1994, received the NCAA National Coach of the Year award twice, and was named the “Georgian of the Year” by Georgia Association of Broadcasters. 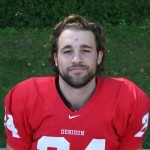 He received the Amos Alonzo Stagg Award, presented by the American Football Coaches Association, in 2001. He was an analyst on ESPN college football telecasts and served as president of the American Football Coaches Association. Dooley’s accomplishments are not limited to the world of sports. Among Dooley’s many philanthropic interests, he served over 25 years as chairman of the Georgia Easter Seals, earning the title of National Volunteer of the Year, and has been involved with the Salvation Army, Boy Scouts of America, and numerous other charitable organizations. In 2011 Dooley was named a Georgia Trustee by the Georgia Historical Society, which recognizes those whose accomplishments and community service reflect the ideals of the founding body of Trustees. With a master’s degree in history, he is a Civil War expert and a member of the Civil War Round Table. Additionally, he is a renowned horticulturist and has published several books on plants and gardens. Founded in 1998, Athletes for a Better World (ABW) exists to change the culture of sport by developing individual character, teamwork, and civic responsibility through commitment to the Code for Living. ABW’s vision is to have the Code become a part of every sport at every level, so that it becomes the common language and standard expectation of behavior for everyone. ABW provides free support and resources to coaches and athletes across the country who want to teach and live out these values. “The Code for Living” can be found on playing fields, locker rooms and athletic facilities across the country. Currently, ABW players and coaches are represented in every state and several foreign countries. ATLANTA (December 22, 2015) – The 12th Annual Coach Wooden Citizenship Cup, an award given for the most outstanding role model among athletes, announced its nominees for the 2016 award ceremony according to Fred Northup, President, Athletes for a Better World. John Wooden, who won ten national championships during the years 1964–1975 as basketball coach at UCLA is regarded as the greatest college coach of any sport who ever lived. He is universally regarded as one of the finest human beings to ever grace the world of sports, and his character, conduct and selfless gifts stand at the highest level by any standard. When Coach Wooden learned about Athletes for a Better World, he gave authorization to attach his name to this annual award and he attended and addressed the inaugural event in Los Angeles in 2005. In his honor, the Coach Wooden Citizenship Cup is presented to two distinguished athletes, one collegiate and one professional or Olympic, for their character and leadership both on and off the field and for their contributions to sport and society. The Wooden Cup is given to a collegiate and a professional or Olympic athlete who have made the greatest positive influence in the lives of others. The award recipients will be announced at a ceremony held on April 27 at the Cobb Energy Center. The professional recipient, Vincent J. Dooley became the head football coach at the University of Georgia in 1964 at the age of 31. During Dooley’s twenty-five year tenure as head football coach, the Bulldogs won the 1980 national championship title, six SEC championships, won 201 games, and played in 20 bowl games. He led the Bulldogs until 1988 and is among the winningest coaches in the history of college football. In addition to excellence on the field, Dooley encouraged academic excellence in his players. Under his leadership more than 100 student-athletes received academic awards and post-graduate scholarships. Dooley served as the University of Georgia’s athletic director from 1979 to 2003. 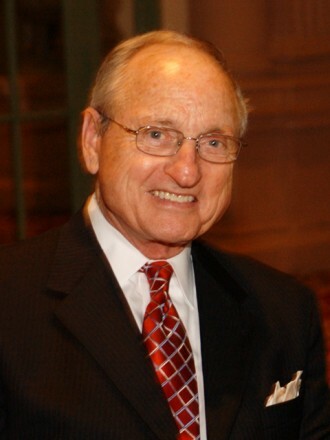 Dooley has been a member of the College Football Hall of Fame since 1994, received the NCAA National Coach of the Year award twice, and “Georgian of the Year” by Georgia Association of Broadcasters and National Volunteer of the Year. He received the Amos Alonzo Stagg Award, presented by the American Football Coaches Association in 2001. 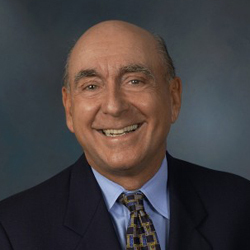 He was an analyst on ESPN college football telecasts, president of the American Football Coaches Association, named third Vice President of the National Association of Collegiate Directors of Athletics (NACDA). In 2011 Dooley was named a Georgia Trustee by the Georgia Historical Society. Among Dooley’s many philanthropic interests, he served over 25 years as chairman of the Georgia Easter Seals and is involved with the Salvation Army, Boy Scouts of America, and numerous other charitable organizations. He is a Civil War expert and a member of the Civil War Round Table. Additionally, he is renown horticulturist with several books published on plants and gardens. Bob Ryan, the famed sportswriter for the Boston Globe and analyst for ESPN will serve as the Master of Ceremonies. Four times the “Sportswriter of the Year,” a member of the Halls of Fame for College Basketball Writers and the New England Basketball, winner of the Curt Gowdy Award from the Basketball Hall of Fame, and perhaps most notably, a recipient of the Red Smith Award for sports journalism, Ryan will bring extraordinary experience and perspective to the evening’s events. With Jack Nicklaus, Pat Summitt, Dikembe Mutombo, Drew Brees, Mia Hamm, Peyton Manning, John Smoltz, John Lynch, Andrea Yaeger, Shannon Miller and Cal Ripken, Jr. as previous recipients, the Wooden Cup is becoming one of the most prestigious awards in all of sports. Recipients are considered role models and athletes of excellence both on and off the field. Founded by Athletes for a Better World (ABW), a non-profit organization committed to changing the culture of American sports, the Wooden Cup is unique in that it is open to athletes in all collegiate and Olympic or professional sports. Nominations are open to every division and conference in college sports. Recipients of the Coach Wooden Citizenship Cup are chosen by voting done by the Board, the Advisory Board and over 100 distinguished individuals involved in athletics across the country. 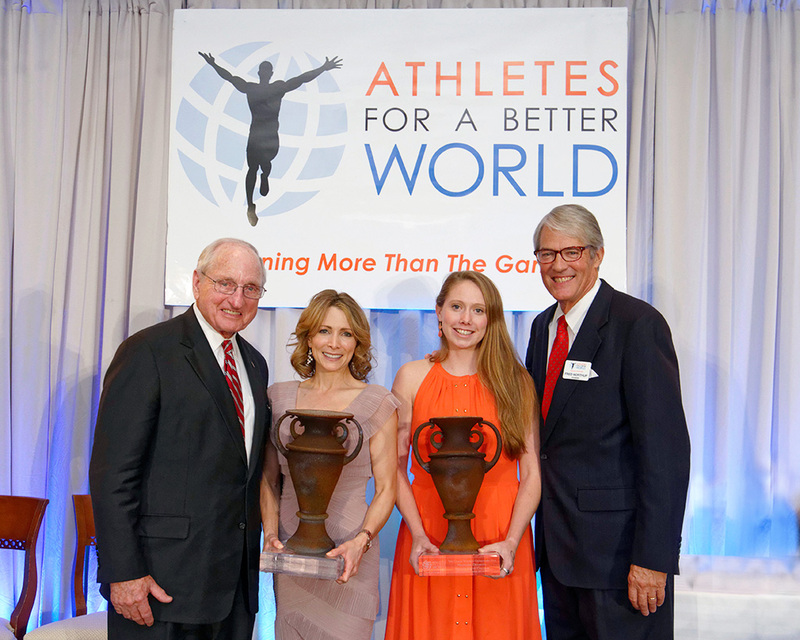 The 11th Annual Coach Wooden Citizenship Cup, given for the most outstanding role models among athletes, recognized Hall of Fame gymnast Shannon Miller and Madeline Buckley, a soccer star from William Smith College at ceremonies at the Atlanta History Center. Miller was recognized for her efforts in her foundation to combat childhood obesity, and for her efforts in health and fitness. 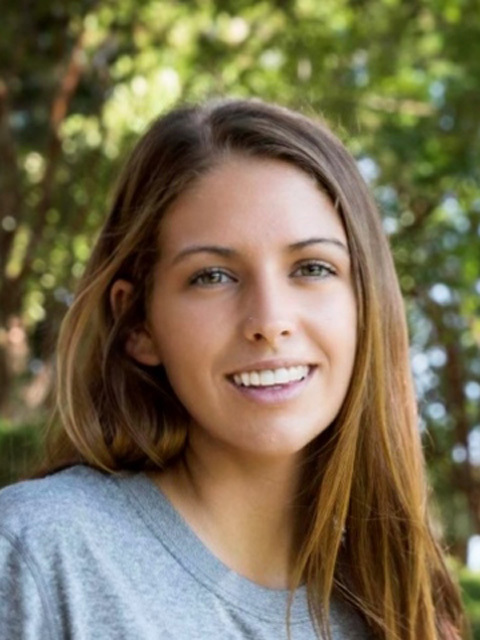 Buckley, an All-American soccer player, was moved in the eighth grade to a commitment to fighting childhood cancer, and has created her own foundation, been a campus leader in countless efforts, and maintained a near perfect GPA. 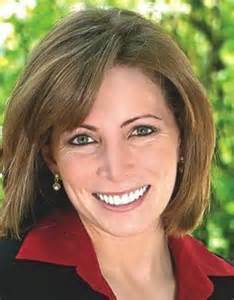 Olympic Gold Medalist Shannon Miller has a combined total of 16 World Championships and Olympic medals and is the most decorated gymnast, male or female, in U.S. history. 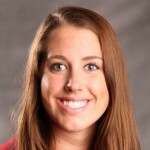 Since her Olympic career ended Miller has begun a Foundation to combat childhood obesity, and as a cancer survivor has become a role model and inspiration to many. Shannon Miller Lifestyle is an educational program to help and encourage people in health and nutrition, exercise, and motherhood. In her new book “It’s Not About Perfect” Shannon reflects on her career and her battle against cancer and her belief that our lives are defined by our response to our challenges and not by our accomplishments. With Jack Nicklaus, Pat Summitt, Dikembe Mutombo, Drew Brees, Mia Hamm, Peyton Manning, John Smoltz, John Lynch, Andrea Yaeger and Cal Ripken, Jr. as previous recipients, the Wooden Cup is becoming one of the most prestigious awards in all of sports. 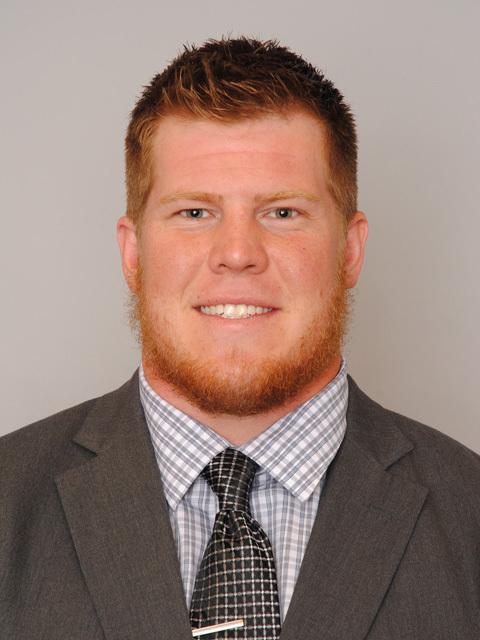 Recipients are considered role models and athletes of excellence both on and off the field. The other 2015 Collegiate finalists for the Cup in addition to Buckley were: Zach Hyman, University of Michigan, Hockey; Maria Lanyi, Northeastern University, Soccer; Chris Tamasi, Amherst College, Football; and Tiana Woolridge, Princeton University, Volleyball. Recipients of the Coach Wooden Citizenship Cup are chosen by a committee chaired by Vincent Dooley, former University of Georgia athletic director, and other distinguished individuals involved in athletics across the country. ATLANTA (January 21, 2015) – The 11th Annual Coach Wooden Citizenship Cup, an award given for the most outstanding role model among athletes, announced its nominees for the 2015 award ceremony according to Fred Northup, President, Athletes for a Better World. The Wooden Cup is given to a collegiate and a professional or Olympic athlete who have made the greatest positive influence in the lives of others. The award recipients will be announced at a ceremony held on April 27 at the Atlanta History Center. Olympic Gold Medalist Shannon Miller will receive the Cup. With a combined total of 16 World Championships and Olympic medals, Miller is the most decorated gymnast, male or female, in U.S. history. Since her Olympic career ended Miller has begun a Foundation to combat childhood obesity, and as a cancer survivor has become a role model and inspiration to many. Shannon Miller Lifestyle is an educational program to help and encourage people in health and nutrition, exercise, and motherhood.